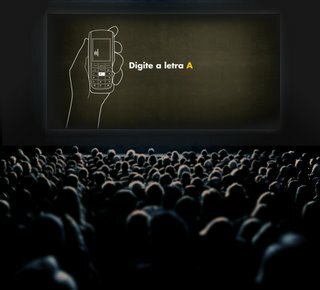 Brazil's Agencia Click created an interactive movie for Fiat that was shown in the country's theaters. The six-minute-long interactive movie is in the "choose you own adventure" style and generates 16 different endings. 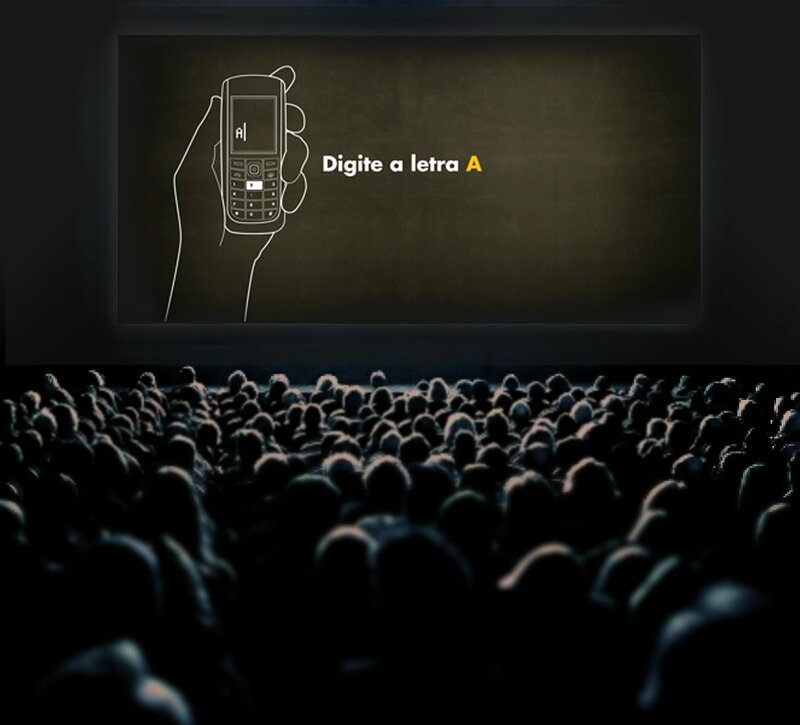 The interactive part comes when the audience is invited to answer on-screen questions by texting answers to a number. The final version of the movie is compiled from the clips that gather the most votes. The campaign site (in Portuguese) is here.